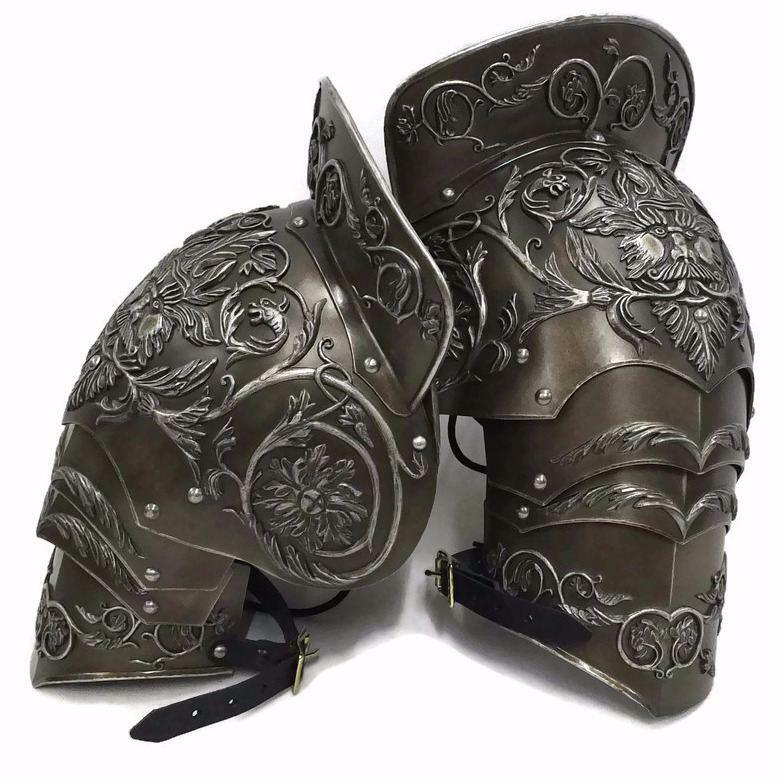 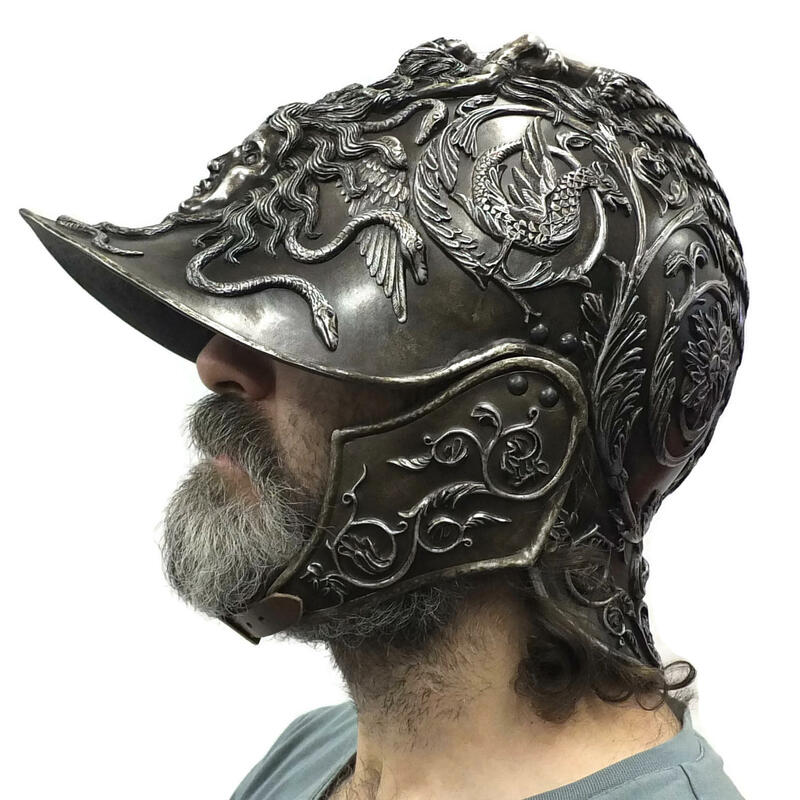 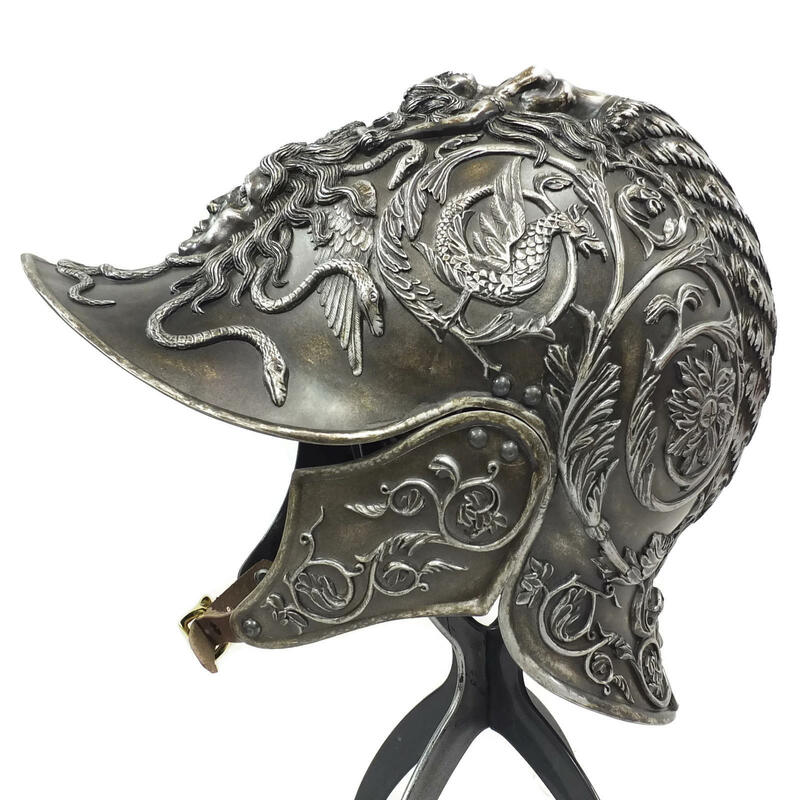 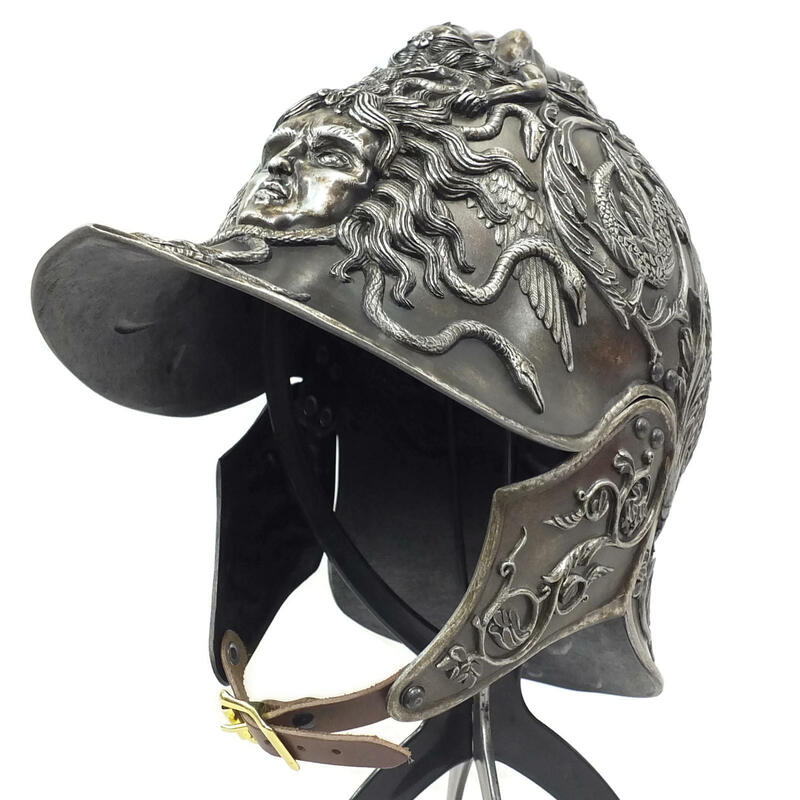 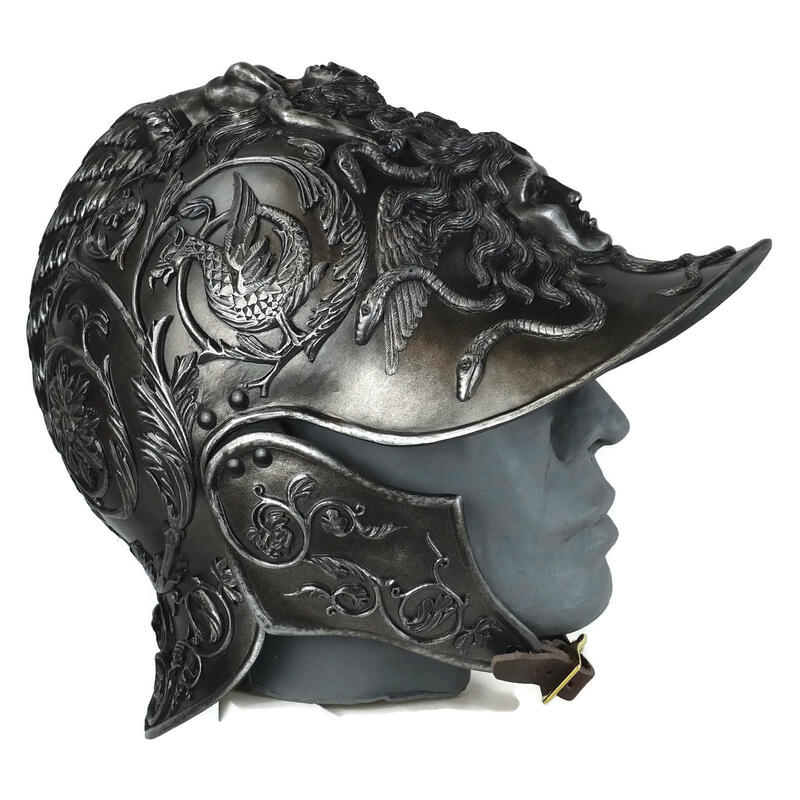 Highly decorative helmet based on the work of Filippo Negroli - a 16th Century Italian master armourer. 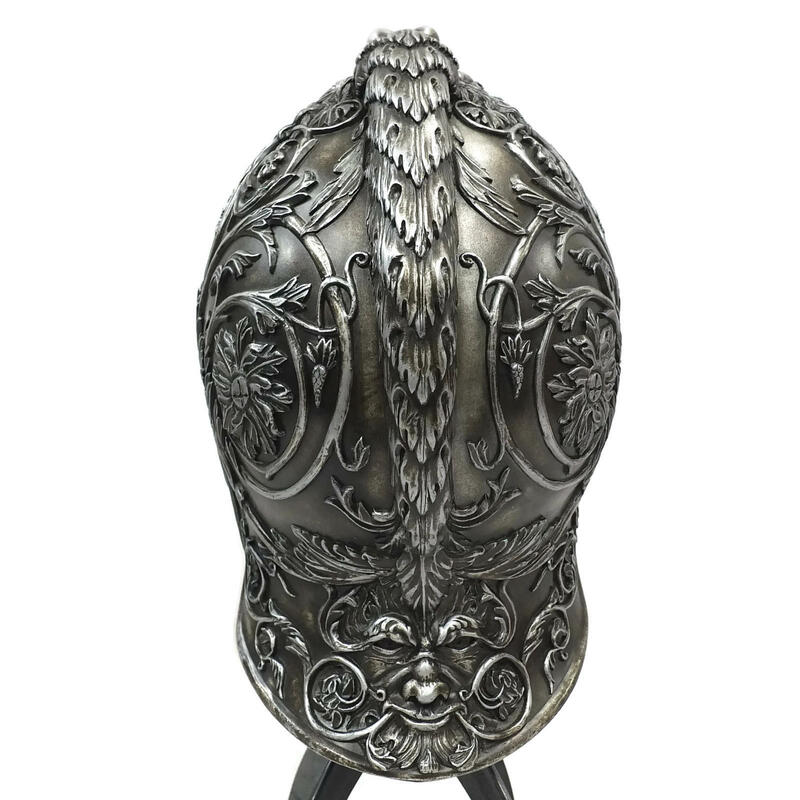 This matches the rest of our Negroli items (available separately). 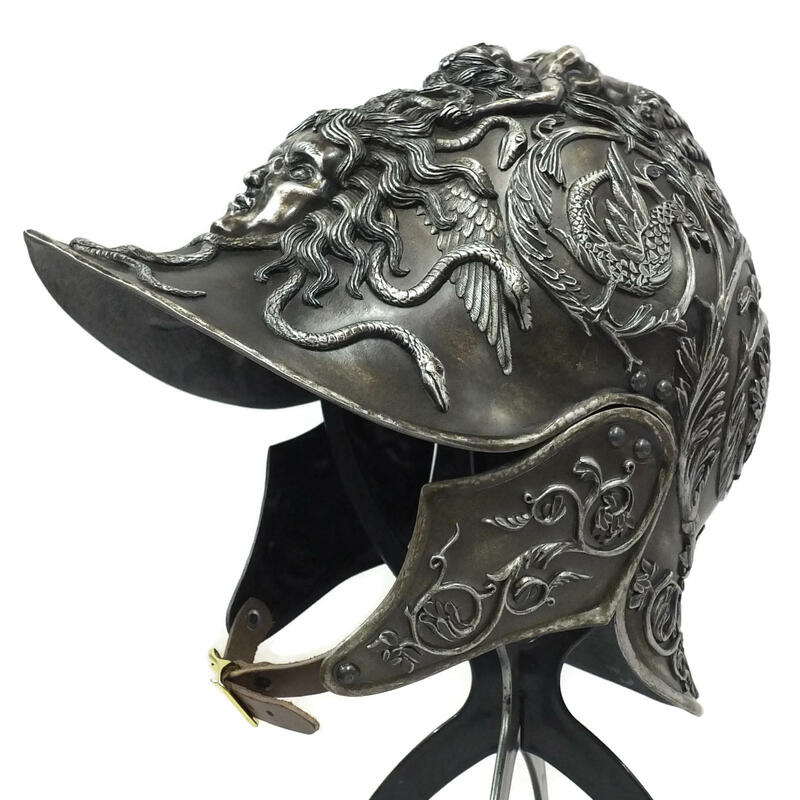 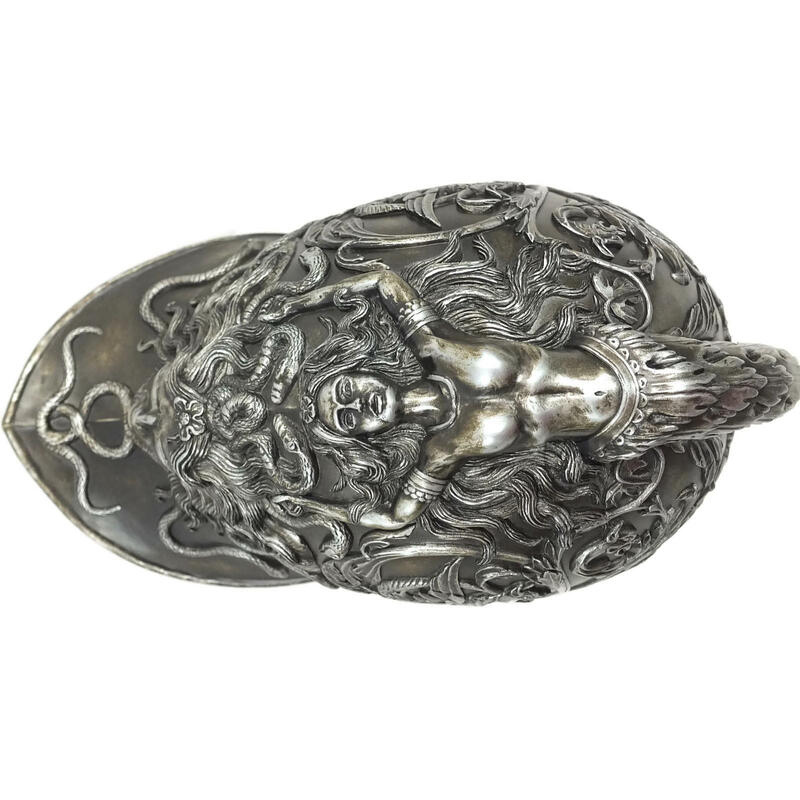 The helmet is covered in an embossed design comprising of Acanthus scrolls and with a reclining mermaid forming the crest. 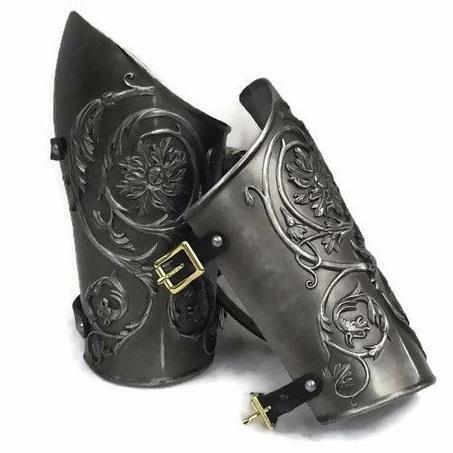 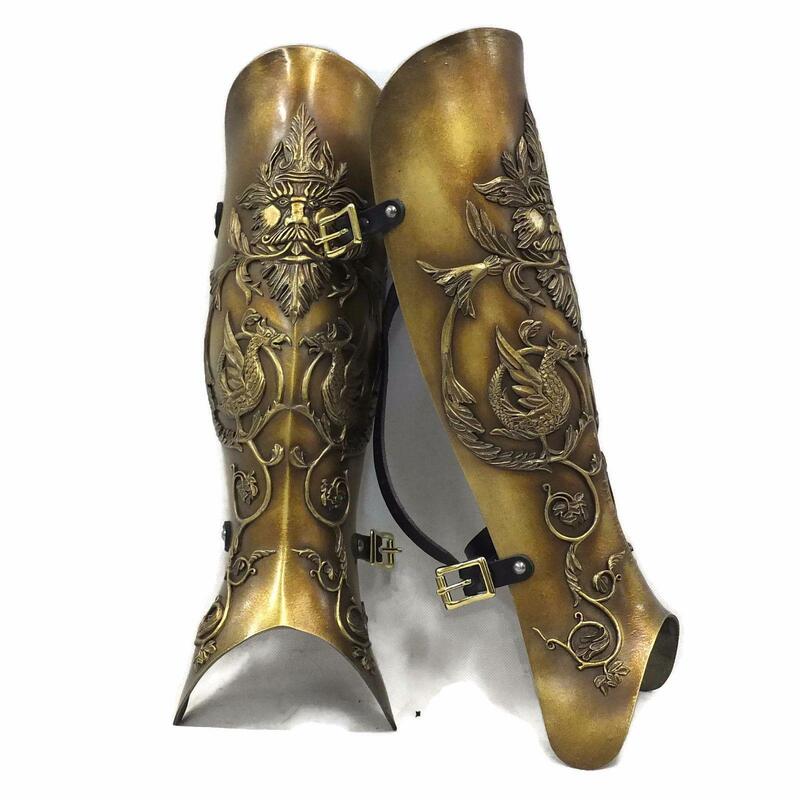 Complete with brass buckle and black leather strap. 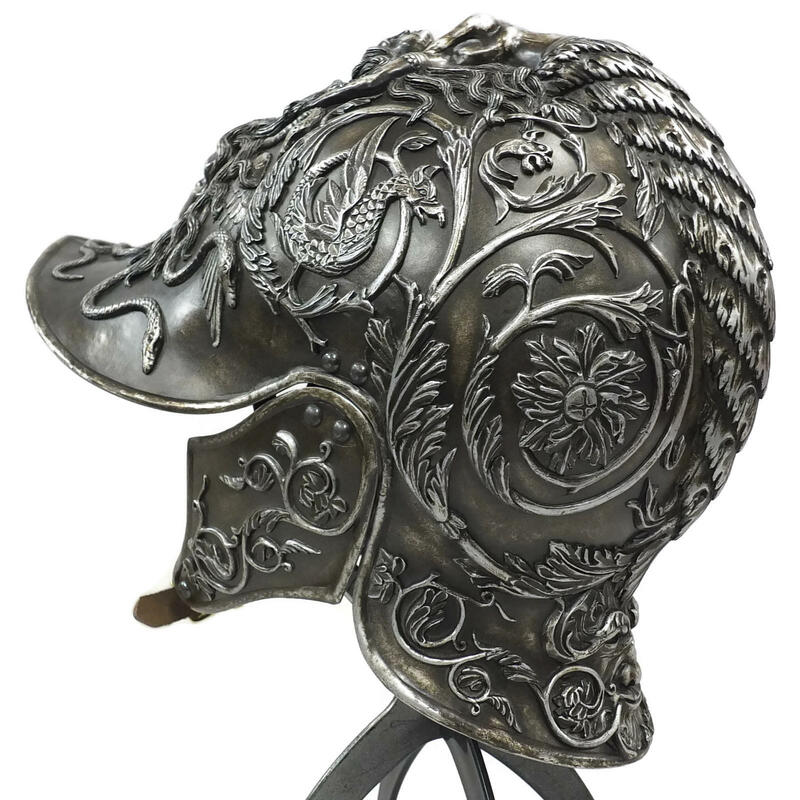 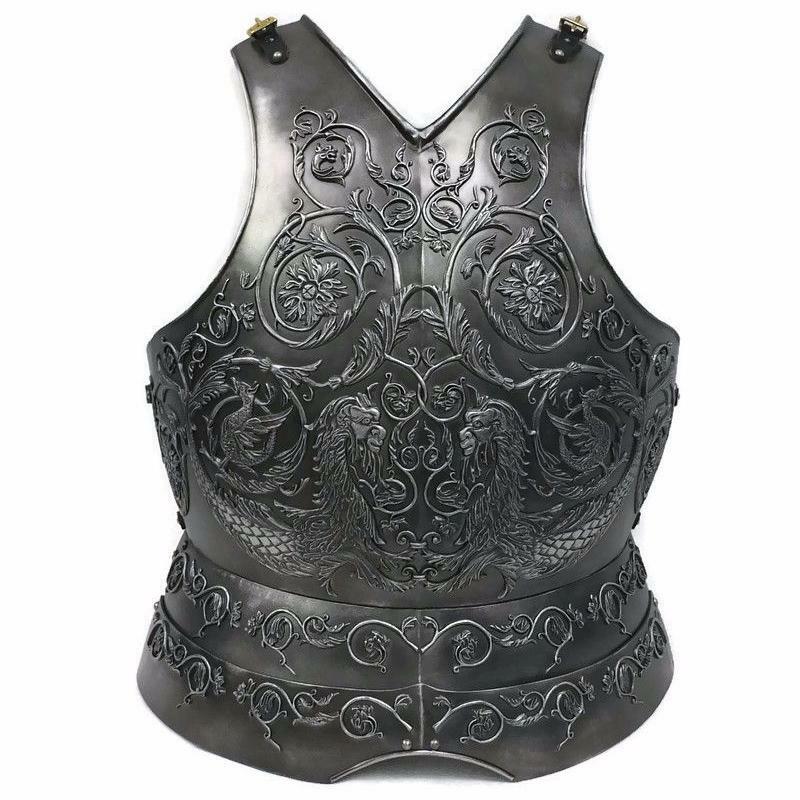 Will fit head size up to 23" (59cm).